In a document signed January 17 and released January 19, Pope Francis has suppressed the Pontifical Commission Ecclesia Dei, which was established 30 years ago in 1988 by Pope St. John Paul II. Most observers are terming it a fundamentally “bureaucratic” decision. 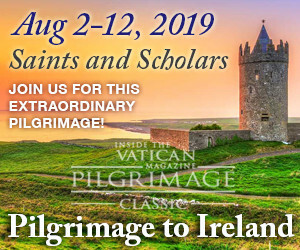 These observers say it which will not change the way the Holy See deals with the traditional Catholics, especially with the Priestly Fraternity of St. Pius X. 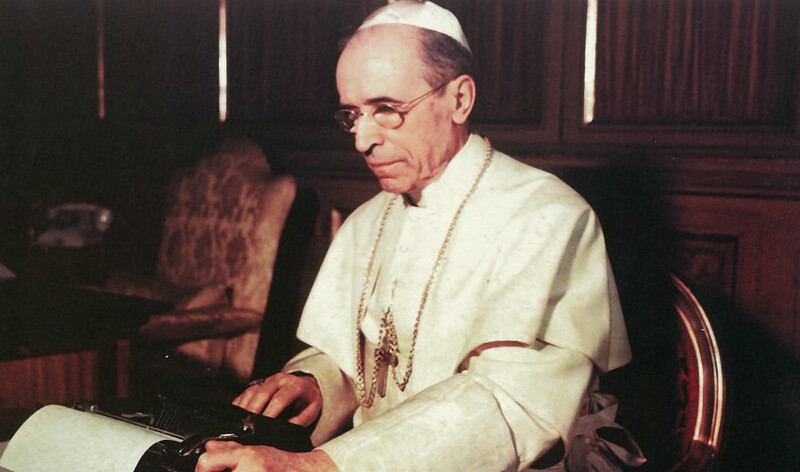 (Known as the SSPX — sometimes written FSSPX — the Ecclesia Dei document in 1988 was issued by Pope John Paul II in response to the decision of traditionalist French Archbishop Marcel Lefebvre, founder of the SSPX in 1970, to consecrate four bishops against the Pope’s will on June 30, 1988, causing the first and, thus far, only official schism in the Church in the aftermath of the Second Vatican Council). Indeed, many observers are saying that doctrinal talks between Rome and the SSPX are now far advanced and that there are real hopes that there may soon be a positive conclusion to the talks, and that this is the reason the decision has been taken to have the talks handled directly by the Vatican’s top doctrinal office, the Congregation for the Doctrine of the Faith, and no longer by the Ecclesia Dei commission, which had a lesser doctrinal authority. So some are seeing this as a hopeful step in the long, 30-year process of reconciling the SSPX fully with Rome. However, that process still faces difficult obstacles. That is because the dialogue must address differing positions on the Second Vatican Council (1962-1965). Especially, the dialogue must distinguish between what the Council said, and what was said after the Council (with greater and lesser authority) in the Council’s name. The doctrinal points in question between the SSPX and Rome relate to teachings that have been presented by many as fully legitimate developments of the pastoral emphases of the Second Vatican Council. But the theologians of the SSPX contend that many of these teachings are an unacceptable departure from traditional Catholic teaching. So the dialogue between the SSPX and CDF, now expected to intensify, will inevitably confront the very thorny question of Vatican II and its legacy — a matter that Pope Benedict XVI himself has often said is very complex and very delicate. Here below, several items to help readers have a better idea of what this decision of Pope Francis means, beginning with two official Vatican explanations (the second by the new editorial director of the Vatican, an old colleague and friend, Andrea Tornielli), followed by the text of the recent and the 30-year-old papal decrees, followed by another article of observations, two interesting news notes about developments in the dialogue between the SSPX and Rome, and finally, a report from almost two and half years ago (September 2016) on Emeritus Pope Benedict’s reflections on his own role at Vatican II, based on interviews he granted to his biographer, Peter Seewald, in recent years, both before and after his resignation in 2013. With the Apostolic Letter, the Holy Father assigns the duties of the Pontifical Commission Ecclesia Dei in their entirety to the Congregation for the Doctrine of the Faith, “within which a specific Section will be set up in order to continue the work of vigilance, promotion, and protection” of the suppressed Commission. Finally, Pope Francis disposes that the budget of the Ecclesia Dei Commission fall within the ordinary accounting of the CDF. The Editorial Director of the Dicastery for Communication comments on the significance of Pope Francis’ decision to assign the duties of the Ecclesia Dei Commission to a special section of the Congregation for the Doctrine of the Faith. The Apostolic Letter motu proprio with which Pope Francis suppressed the Pontifical Commission Ecclesia Dei and transferred its competence to a special section of the Congregation for the Doctrine of the Faith has a two-fold meaning. In the first place, the Pope notes that the exceptional character for which Pope St. John Paul II had instituted it in 1988 – following the break with Archbishop Marcel Lefebvre and the subsequent episcopal ordinations that took place without pontifical mandate – has disappeared. The Commission was meant to encourage the recovery of full ecclesial communion with the priests, seminarians, and men and women religious linked to the pre-conciliar Roman Rite, allowing them to maintain their own spiritual and liturgical traditions. The emergency no longer exists, thanks also to the decision of Benedict XVI to permit the use of the 1962 Roman Missal (promulgated by Pope St. John XXIII before the beginning of the Second Vatican Council). For this reason, Pope Francis said in the motu proprio that “the Institutes and Religious communities which habitually celebrate in the extraordinary form have today found their own stability of number and life”. Their existence is therefore consolidated, and all the functions are transferred to the new section which, among other things, will consist of the same staff previously employed by the Commission. The second meaning of the decision is related to the specific competence of the Doctrinal Dicastery. Pope Francis’ decision is part of a process already begun by Pope Emeritus Benedict XVI, who in 2009 decreed that the Prefect of the Congregation for the Doctrine of the Faith should preside over the Ecclesia Dei Commission. This is a reference to the dialogue between the Holy See and the Priestly Fraternity of Saint Pius X, or FSSPX, founded by Archbishop Lefebvre. As is well known, with the revocation of the excommunications of the bishops ordained illegitimately in 1988, the free use of the Roman Missal of 1962, and the faculties granted to the priests of the FSSPX by Pope Francis, the doctrinal issue remains the only issue still open, though it is also the most important – especially since the FSSPX has changed its superiors. In fact, its new leaders have announced their desire for further discussions with the Holy See regarding the texts of the Second Vatican Council: a delicate issue which will be addressed by the Prefect of the Congregation for the Doctrine of the Faith, Cardinal Luis Ladaria. “The CDF is taking over talks with the SSPX; that does not mean the rest of PCED’s functions are being dispersed will-nilly to the various dicasteries. 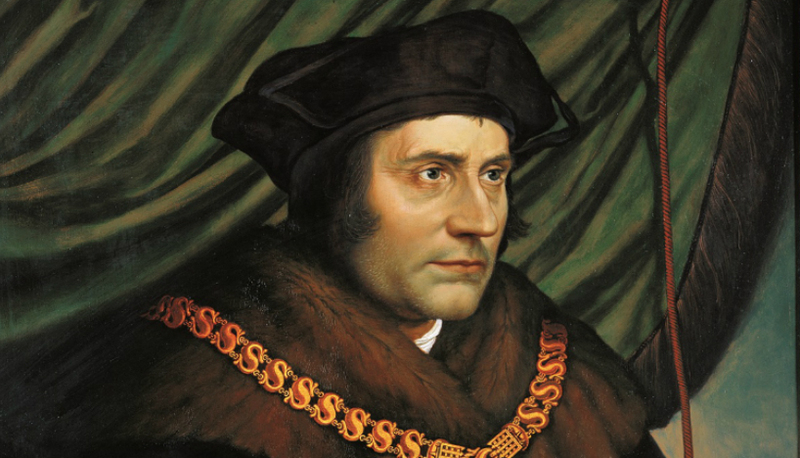 What the motu proprio does is give the CDF the competency of… ‘dialoguing” with the SSPX. The other functions of the PCED are going to continue in a newly formed, special ‘Section’ of the CDF, with – as far as I can tell – the same staff (except for the Bishop Secretary, Guido Pozzo). “That is, the suppression of the PCED is more a question of organizational charts. What was a quasi-independent body, is now directly a part of the Congregation it already depended on (the head of CDF, for instance, has been ex officio President of PCED for years). 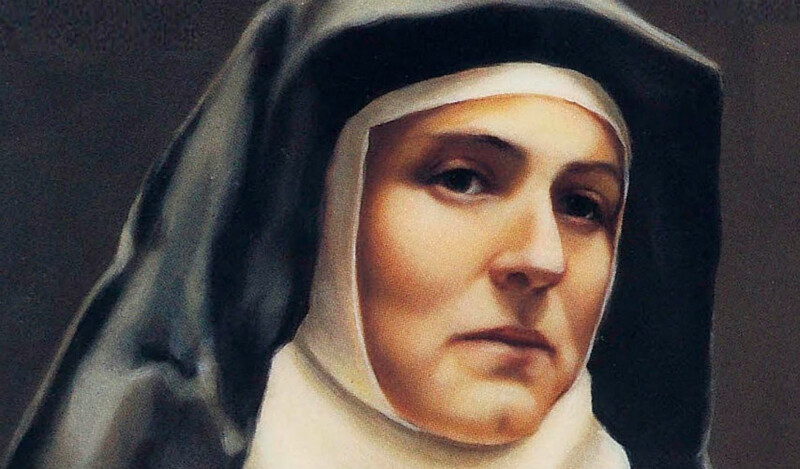 Just a couple of weeks ago, Rorate posted an analysis of Pope Francis’ moves regarding the Society of Saint Pius X (FSSPX / SSPX): The Vatican and the SSPX – Prospects for 2019. Along with the abolition of the Pontifical Commission Ecclesia Dei, signed on January 17, and that also signals a path of “regularization by installments” of the SSPX, another piece of news dated from that same day also made clear what is going on. Bishop Huonder is 76, and has wished to retire for some time — his large diocese includes the largest city in Switzerland, Zurich, and his conservative views are not very popular with many of the more influential members of his flock. Le Salon Beige reveals, and Rorate’s sources confirm, that the school in which Bp. Vitus Huonder will live when he retires is the Institut Sancta Maria, a boarding school for boys in Wangs, in the St-Gallen canton. Le Salon Beige confirms that, of course, the pope is well informed of Bishop Huonder’s choice, and tacitly approves of it. The visit this past November of Father Davide Pagliarani, new Superior-General of the Society of St. Pius X (SSPX), to the Ecclesia Dei Commission in Rome has revived the everlasting matter of the relations between the Holy See and the society founded in 1970 by Archbishop Marcel Lefebvre, raising speculations on the possibility of having this body officially recognized by the Vatican. Inquiring minds wonder if a tendency that wants regularization or not has assumed command of the SSPX. Here and there, a commentator strives to know if doctrinal agreements should be reached before considering a practical agreement, reaching back to a configuration that resembles the situation of 15 years ago. But where, concretely, should these discussions lead? Should they wait until Rome has finally condemned Vatican II, or rather are mere safeguards enough? This point remains to be clarified. Because the current canonical situation of the Society of St. Pius X is mostly normalized. The Mass that its members celebrate is the same that all priests of the world can recite or sing following the Motu Proprio Summorum Pontificum, of July 7, 2007. The condemnations that weighed on the bishops of the Society were lifted by a decree signed of January 21, 2009. In 2015, the Holy See granted to its Superior-General the powers to judge on the first level of jurisdiction. The validity of the confessions heard by its priests was recognized by the Apostolic Letter Misericordia et Misera, of November 20, 2016. In that same year, the Pontifical Commission Ecclesia Dei asked the bishops of the dioceses in which Society seminaries are situated to accept the ceremonies of ordinations that take place in them. Marriages celebrated before Society priests are at last fully recognized by Rome, as attested by a letter of the Congregation for the Doctrine of the Faith, of March 27, 2017. This document goes even further: it tells Society priests to send registries proving the celebration of marriages to diocesan chanceries. These registries are to be organized along with the registries of all parishes and communities in fully regular situation. 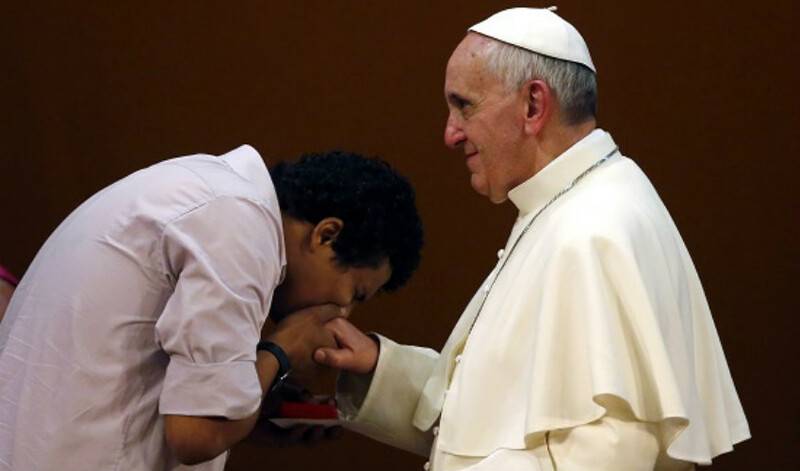 Implicitly, since the sanctions have disappeared and since its priests have received the canonical charge to administer the several Sacraments, the Society has found anew its original status, which had been abolished on May 6, 1975, and behaves, de facto, as a personal prelature. Those who have become accustomed to reject all regularization, because they fear that bad influences would arrive through canonical links, have undoubtedly remarked that these branches have been almost completely re-grafted. Nothing is missing for the Society, except perhaps a Court of Ecclesiastical appeals for canonical procedures that a Prelature structure would allow. One day, the Society will also have the need to renew its bishops. In the current context, one cannot see what would prevent the Pope from granting them to the Society. The SSPX has become, in the end, as an automobile that has all elements to move forward: a body, wheels, steering wheel, seats — all elements are brand new and nothing is missing. Due to a state of tension, both internal and external, on the subject of regularization, undoubtedly due to the current pontificate, all that is missing is a license plate bearing its status, but the highway patrols around the world know that the car can move as it pleases. Finding a church for a marriage celebration or for a pilgrimage stop poses no difficulty anymore: this is not where the problem is anymore. The Pope has decided it. The faithful from all corners can visit the churches of the Society. Their conscience cannot anymore be subjected to distress and anxiety. These have been set aside by the pontifical texts. Now then, when will the regularization has been almost completely accomplished by installments become definitively official? Has it already taken place in pectore? Will it take place one of these days on the back of the envelope, as if to seal all that has been already granted? It is possible. In any event, the Holy See has granted, on a practical level, all priestly functions to the members of the SSPX. The assessment of catholicity has been made on the long term, and not in view of conditions still to be fulfilled. And it is only a matter of justice to the work of Abp Lefebvre that it be thus recognized. Which is simply what he himself had always asked for. After the German publisher Droemer Verlag first released it on 9 September 2016, much has already been deeply discussed and variously reported about Benedict XVI’s new interview-book, Benedikt XVI. Letzte Gespräche (Benedict XVI – Last Conversations) which so far has only been published in the German language. It has been shown, for example, how the former pope supports whole-heartedly Pope Francis’ papacy and how he still defends his decision to leave his Petrine office, not calling it a flight, but, rather, a calm, fearless move on his part. It has now also been reported that the former pope insists that the Church was in a good state when he himself decided to leave his office. Another part of the book, however, will also be of much interest to the Catholic world, inasmuch as Joseph Ratzinger discusses in that section his own role at the Second Vatican Council and even the often destructive consequences of this Church event. Only recently, in March of 2016, he had already made some critical remarks about the Council which soon attracted world-wide attention. For, Ratzinger had described a “two-sided deep crisis,” especially with regard to the Church’s own missionary work following the Second Vatican Council. Now in his new book, he seems to admit that he has qualms of conscience with regard to his own involvement as a peritus at the Council, even if he still insists that the Council itself was necessary. In the following, I shall present some larger portions of the new book’s chapter on the Second Vatican Council, inasmuch as this Council still haunts the Catholic Church and still repeatedly stirs much debate. This chapter is entitled: “Konzil: Traum und Trauma” (“Council: Dream and Trauma”) and can be found on pages 142-167 of the book. I will make intermittent references to some of the pages. 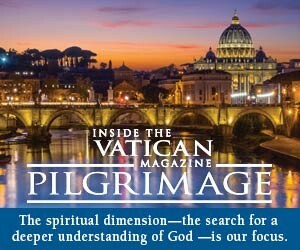 In the text, Benedict XVI admits to have been a “Progressive” at the time of the Second Vatican Council. As the journalist Peter Seewald shows with the help of his somewhat leading questions, Ratzinger also had a leading role in the preparatory work of the Council. He had gotten to know Cardinal Josef Frings of Cologne, Germany, who himself was member of the Preparatory Commission of the Council. 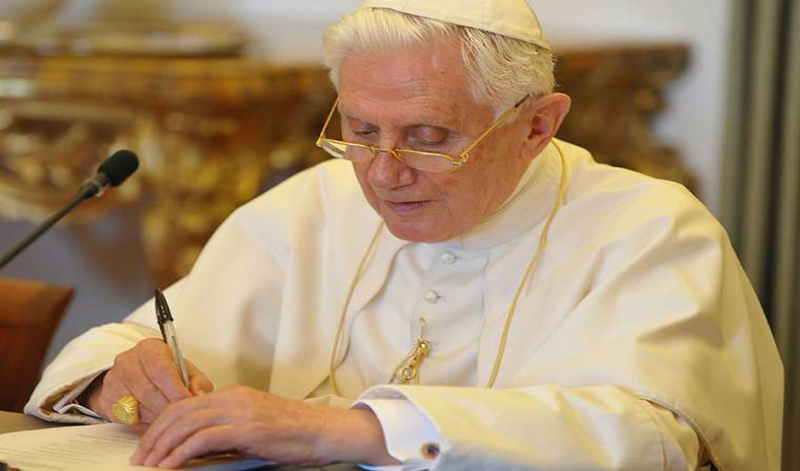 Frings at some point invited Ratzinger to write down his own comments and criticisms on each of the schemata (drafts) that he himself had first received from the Commission. As Seewald points out, Frings even used Ratzinger’s own texts which he later presented during those sessions of the Council at which Ratzinger himself was not present. The former pope also recalls how he was always present at the meetings at the Villa Mater Dei which were organized by Bishop Hermann Volk. He adds that it was “utmost exciting” to meet and speak “with such great figures” as Lubac, Daniélou and Congar. Again, he stresses his attentiveness to the “continuity stemming from its origin.” This attitude will be found also in Ratzinger’s own work during the Council, namely: to return to the origins and to bypass the Thomistic theology. But, we shall come to that later. It is worthwhile at this point to quote another question by Seewald since it is, in itself, very informative. Ratzinger thinks that Frings did not have a clear plan of reform when arriving at the Council, but that he had shared all the schemata with Ratzinger ahead of time. The former pope comments on the schemata which he himself did not judge so negatively as they have later been assessed to be. I then had sent him [Frings] many corrections, but the structure as a whole – except for the decree on Revelation – I did not touch. We [Frings and Ratzinger] agreed that the fundamental orientation was there, but that there was still much to improve. That is to say, that the current Magisterium had to be less dominant and that the [Holy] Scripture and the [Church] Fathers were to have more weight. Here again, Seewald’s own searching question is worth mentioning. At that meeting, according to the German journalist, a text was produced as an alternative to the Roman Draft which then was 3000 times copied and distributed among the Council Fathers. Again, Seewald shows the continuation of Ratzinger’s influence on the Council: “They were your arguments and your text which Cardinal Frings thus presented on 14 November 1962” and which then “made everything tumble.” With it, the original draft and plan was “off the table,” the ones that would “have blocked everything”; and now “everything could be discussed freely” – according to Seewald. When asked about his collaboration with Karl Rahner, Ratzinger reveals that it was easy to work with Rahner – who was twenty-three years older than he – because he was willing to encourage younger theologians.